February 6, 2014	5:14 PM CDT By W. T. Whitney Jr.
United Nations secretary general Ban Ki-moon and José Miguel Insulza, secretary general of the Organization of American States, attended as guests. The OAS, loyal to U.S. dictates, ejected revolutionary Cuba from its membership in 1963. By serving as CELAC president pro tem during 2013 and hosting this summit, Cuba made clear its return to the community of nations. Castro had asked for a minute of silence in honor of late Venezuelan President Hugo Chavez who convened the founding CELAC congress in Caracas in 2011. Chile hosted the first summit in early 2013 after a term as president pro tem. Costa Rica becomes CELAC president following this summit. Responsibility for ongoing CELAC affairs rests with a committee comprising the past, current, and upcoming CELAC presidents and a Caribbean-area president. Foreign ministers and their staffs perform administration. At its conclusion on January 29, the CELAC Summit declared the region a “zone of peace” subject to international law and principles of the United Nations Charter. Member states vowed to “banish forever the use of force and to seek a peaceful solution to controversies,” also “to respect the inalienable right of each state to choose its economic, political, social and cultural system.” Interference in the internal affairs of another country is off limits, as are nuclear weapons. The Summit issued a far-reaching, 83-point “Declaration of Havana.” The document reviews purposes and precedents and ratifies measures supporting the sovereignty of states, food sovereignty, sustainable and coordinated regional development, and protection of civil society and private institutions. It calls for solutions to climate change, poverty and hunger, drug addiction, and flawed United Nations governance. CELAC backs Haiti reconstruction, Puerto Rican independence, streamlined foreign investment systems, and Great Britain’s return of the Malvinas Islands to Argentina, The organization seeks rights for indigenous people and migrants and demands that the U. S. economic blockade of Cuba stop. The Continental Forum for Promotion of Democracy, a “counter summit,” took place at Florida International University on January 25. Cuban exiles in the United States and opposition politicians and publicists from Venezuela, Ecuador, Bolivia, and Nicaragua attended. 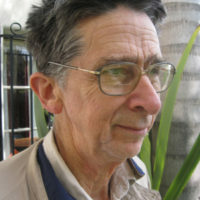 Journalist Jean-Guy Allard claims the group organizing the event, the Buenos Aires – based Center for Opening and Development of Latin America (CADAL), has CIA ties and is financed by the International Republican Institute. CADAL staged a summit-related forum in Havana on January 28 joined by leaders of domestic opposition groups.